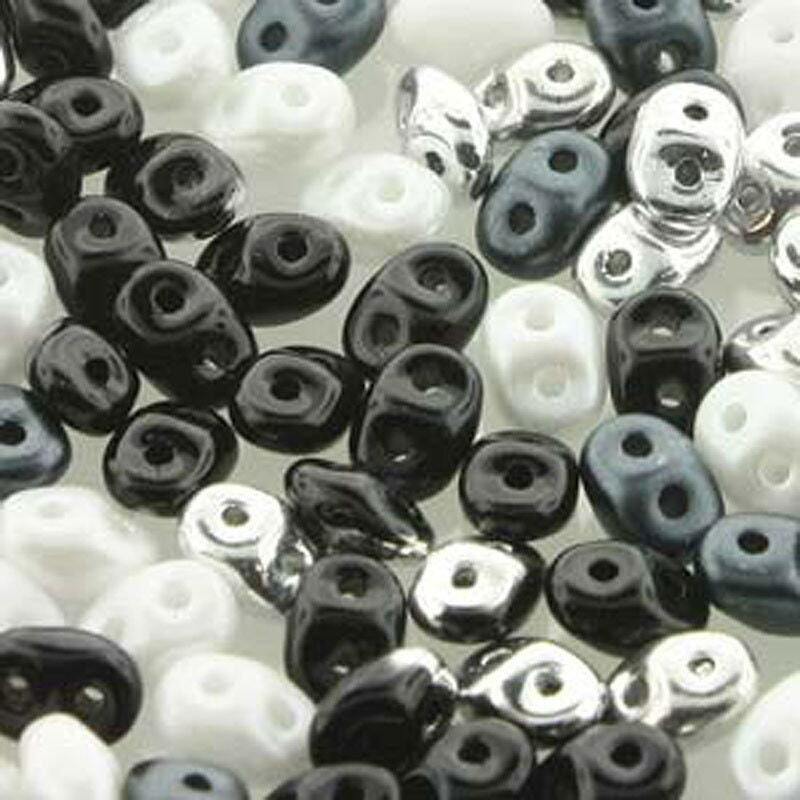 2.5x5mm Formal Affair mix of two hole Czech pressed glass super duo seed beads. Colors in this mix include jet black, silver, white and hematite or gunmetal. Great bead mix. Fast shipping and great prices. Will be back. This mix will make a great memory wire bracelet.